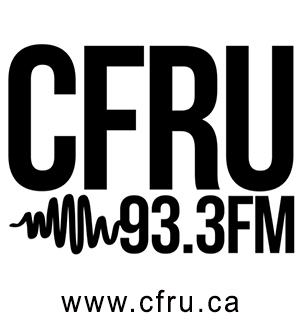 Join us for another hour of special International Women’s Day programming on Folk Roots Radio. 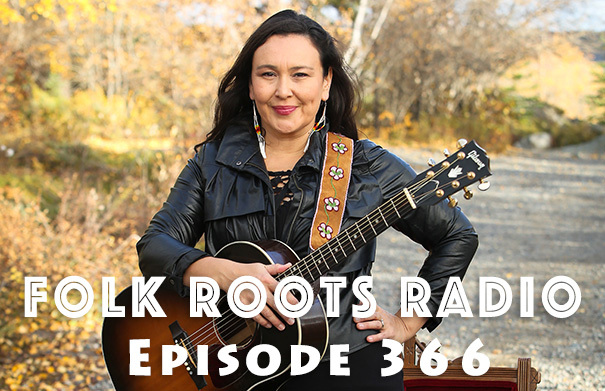 This time around we feature a great interview with indigenous singer-songwriter Leela Gilday recorded at the 2017 Folk North showcase in Toronto alongside new music from Anne Janelle, Suzie Vinnick, Emily Burgess, Laura Cortese & the Dance Cards, Elly Wininger, Afrika Mamas, Barbara Jo Kammer and Mare Wakefield & Nomad. Check out the full playlist below. 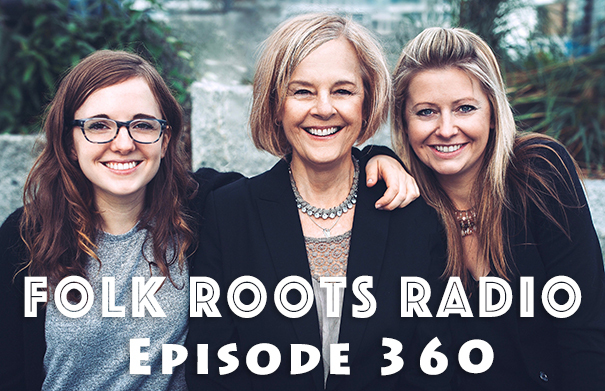 Welcome to the first of two very special hours of International Women’s Day programming on Folk Roots Radio. 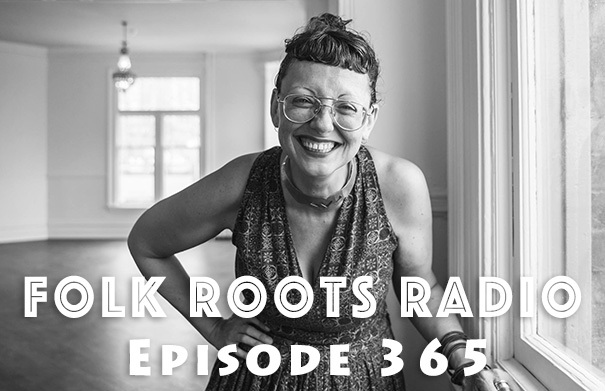 On this episode we feature a great interview with Toronto based vocalist and singer-songwriter Kristine Schmitt recorded at the 2017 Folk Music Ontario Conference alongside new music from Winona Wilde, Rosie & the Riveters, Gwyneth Glyn, Kyle Carey, Emily Mure, I’m With Her and Piper Hayes. It’s a great episode and definitely worth checking out. Check out the full playlist below. 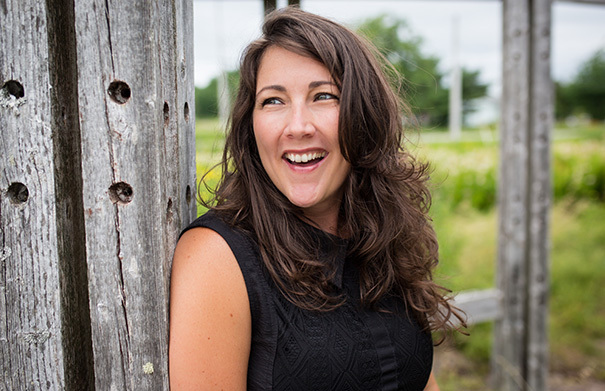 Leela Gilday is a singer-songwriter based in Yellowknife renowned for her passionate songwriting and soulful performance. 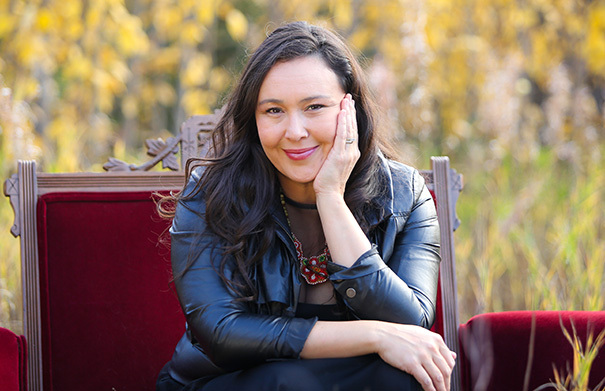 A member of the Dene Nation, Leela actually trained as an opera singer, before creating her own stories in song as a way to share her heritage and northern Canadian life experience. Her latest album is 2014’s “Heart Of The People”. A new album is expected in the fall of 2018. 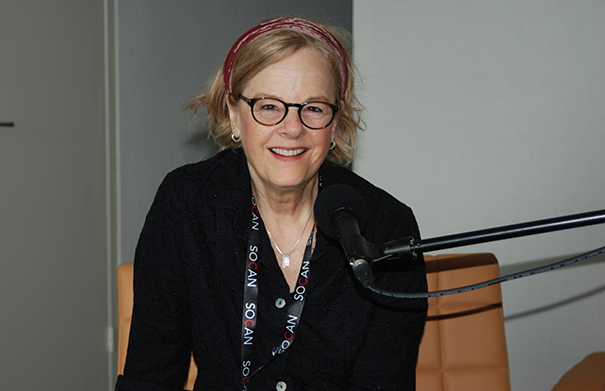 Leela Gilday sat down with Jan Hall from Folk Roots Radio at Folk Music Canada’s boutique export event Folk North to chat about her music. 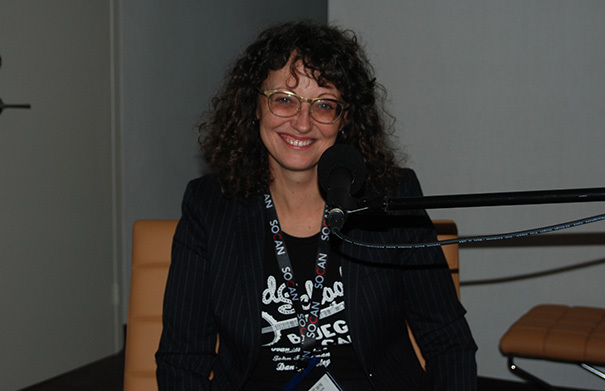 Check out Leela Gilday online at leelagilday.com. Photo: Shawna McLeod. Music: Leela Gilday “Cold Wind” & “Bella” from “Heart Of The People” (2014, Self) and “One Drum” from “Sedze” (2007, Self). 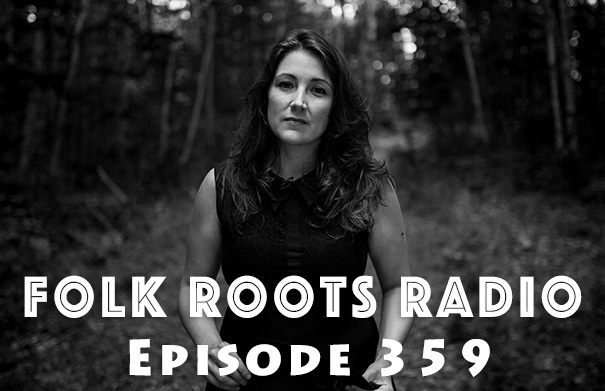 Young country blues singer-songwriter Jeremie Albino joins us on Episode 363 of Folk Roots Radio. 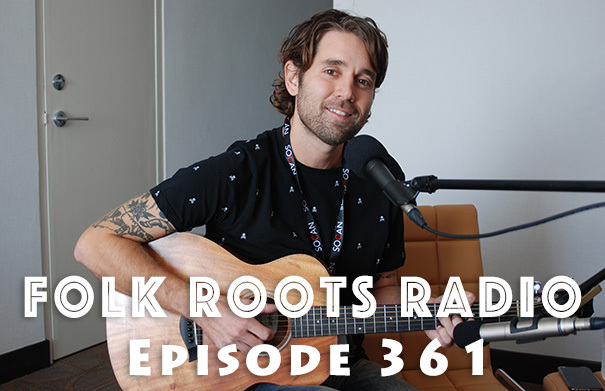 Jeremie sat down with us at the 2017 Folk Music Ontario conference to chat about his music and played three of his original songs live. Musically he’s the real deal – when he performs, it’s like he’s channeling music from another place and time. 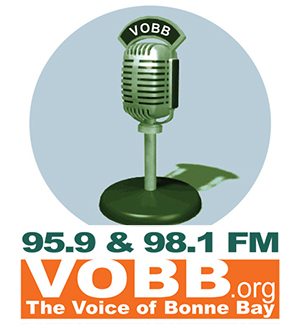 It’s an interview that is definitely worth checking out. 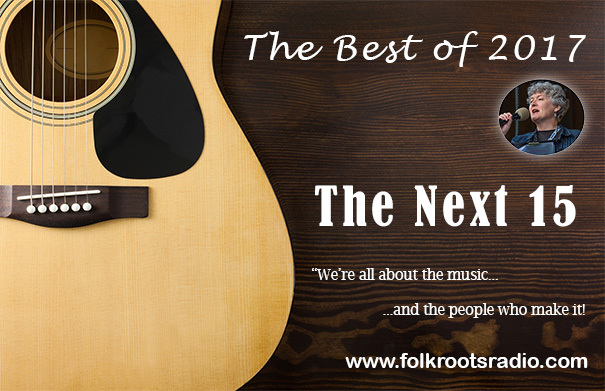 And as always on Folk Roots Radio, we check out more of the new folk and roots music we’ve received, including new releases from The Kelly Song Collective, KC Groves, The Fugitives and The New Customs. Check out the full playlist below. 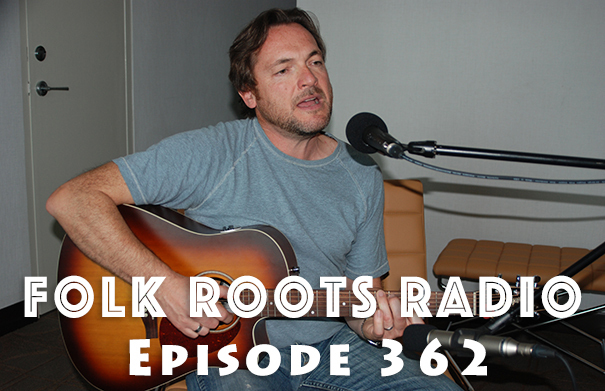 Vancouver based singer-songwriter Chris Ronald moved to Canada from England in 2002 and has built himself a great career as a songwriter renowned for his songcraft with a sound that has been described as “Canadian folk with British roots”. 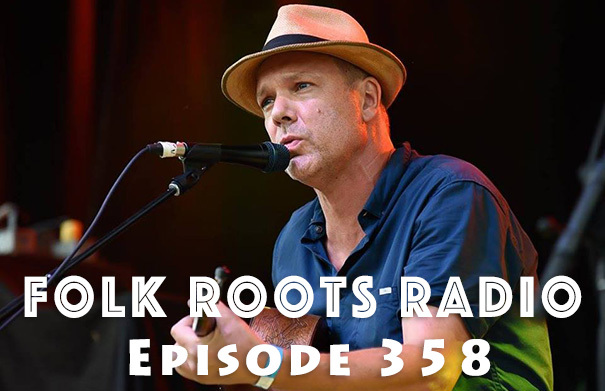 Chris joins us on Episode 362 of Folk Roots Radio to chat about his latest release, “Fragments” and also plays three songs from the new album live. 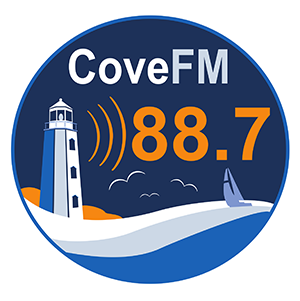 We also check out more of the latest new releases including new music from Steve Howell & Jason Weinheimer, Dennis Johnson, Dan Whitener and Kerri Powers. Check out the full playlist below. 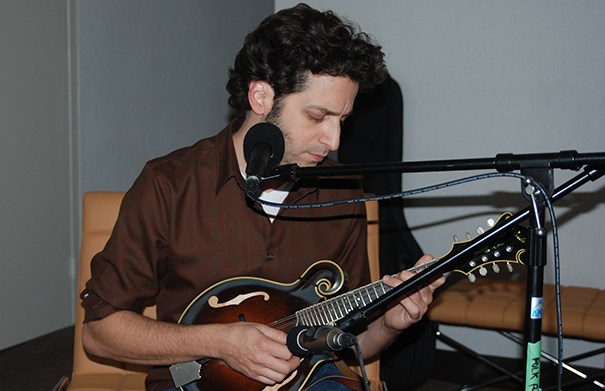 Jeremy Albino is a young musician with an old soul, and the classic sound of old time country blues surging through his veins. Musically he’s the real deal – when he plays live, it’s like he’s channeling music from another place and time. Jeremie grew up in Scarborough Toronto before deciding to pass up city life for the slower pace and rooted appeal of rural Prince Edward County. Though still developing as an artist, and yet to put anything down on record, he’s already building quite a name for himself. 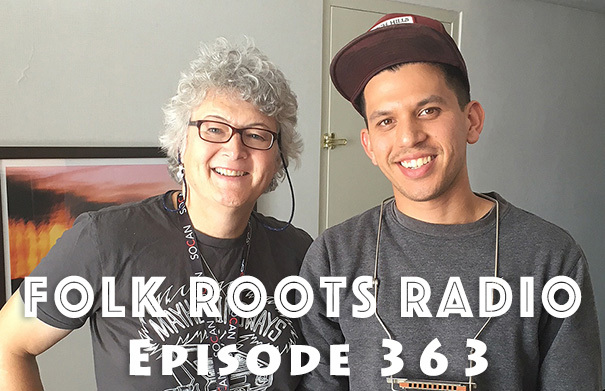 Jeremie Albino sat down with Jan Hall from Folk Roots Radio at the Folk Music Ontario conference to chat about his music and play three of his original songs live. 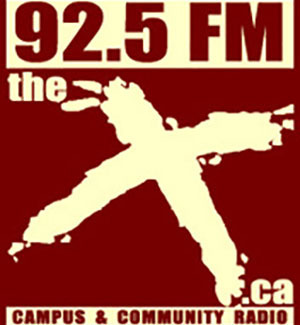 Jeremie Albino will be playing the Roots North Music Festival in Orillia ON on Saturday April 21 2018. 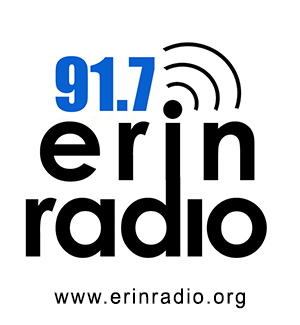 For more information about the music of Jeremie Albino visit jeremiealbinomusic.com. 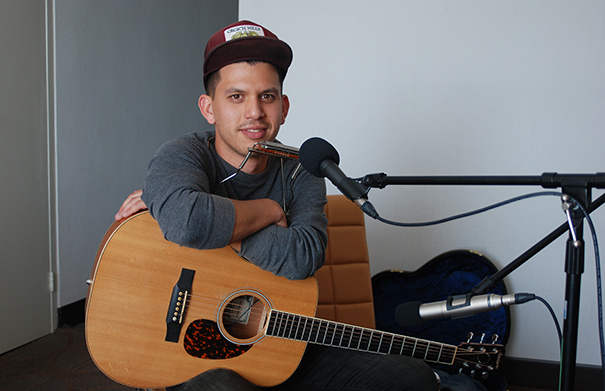 Music: Jeremie Albino “Shipwreck” (Live), “Klondike Man” (Live) and “Trouble” (Live). 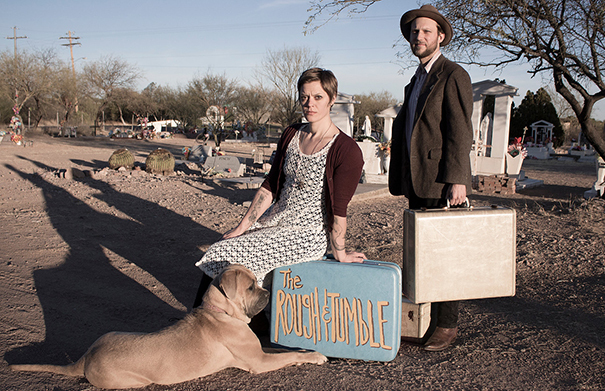 Playful Americana-folk duo The Rough & Tumble first arrived on our radar with their very cute video for their song “Teeny Tiny Folk Band” from their 2017 E.P. “Cardboard and Christmas Lights”. After a string of E.P.s, they’ve just released their first full length album “We Made Ourselves A Home When We Didn’t Know” (2018, Rock Candy Recordings). Featuring the close harmonies, versatile instrumentation and engaging songwriting of Mallory Graham and Scott Tyler, the album celebrates their chosen nomadic lifestyle, out on the open road, travelling from gig to gig in their sixteen foot camper van, with their dogs for company. A beautiful Americana duo recording, We Made Ourselves A Home When We Didn’t Know features some lovely harmonies from Mallory and Scott with an accompaniment of accordion, melodica, bells, home-based found sounds, and a bowed glockenspiel that gives it that homespun feel. The album was recorded by Dave Coleman at Howard’s Apartment Studio in East Nashville, with rhythm section support from Mike Shannon & Chris Leonard. 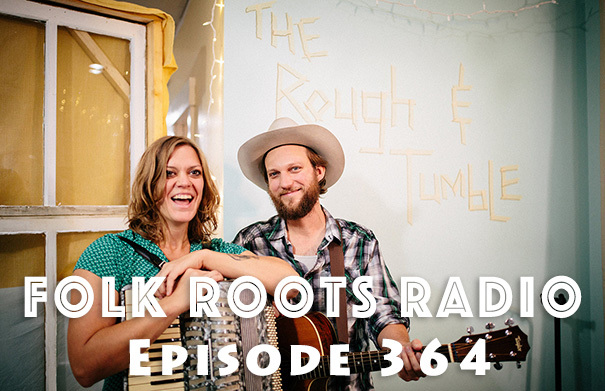 We caught up with Mallory and Scott live from the road, to talk about the new album. You can visit The Rough & Tumble online at theroughandtumble.com. 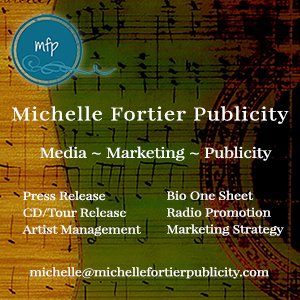 Music: The Rough & Tumble “Wildfire”, “Baggage” and “Let’s Get The Band Together” and “Take Me With You” from “We Made Ourselves A Home When We Didn’t Know” (2018, Rock Candy Recordings). The music of five times JUNO nominee and seven times Canadian Folk Music Award winning mando-maestro Andrew Collins (Foggy Hogtown Boys, Creaking Tree String Quartet) can broadly be described as folk, bluegrass and jazz though as a composer, it’s all about creating new original acoustic music and trying not to sound like other things. His most recent recording, the critically acclaimed instrumental concept album “And It Was Good” (2016) was based on the biblical seven days of creation – one track for each day of creation plus the title track to wrap it all up. Andrew Collins is now back in the studio working on a new project, two separate but connected albums – one a vocal selection of mostly reworked and reimagined cover songs, the other an album of new instrumental music. In live performance, the Andrew Collins Trio, featuring fellow string-meisters Mike Mezzatesta (mandolin, guitar, fiddle) and James McEleney (bass, mandocello), love to take the audience on a fun ride that effortlessly moves from folk to new acoustic roots, to bluegrass, and jazz, with some fine interplay on a variety of stringed instruments, punctuated by lead vocals from Andrew Collins and fine harmonies from his bandmates. 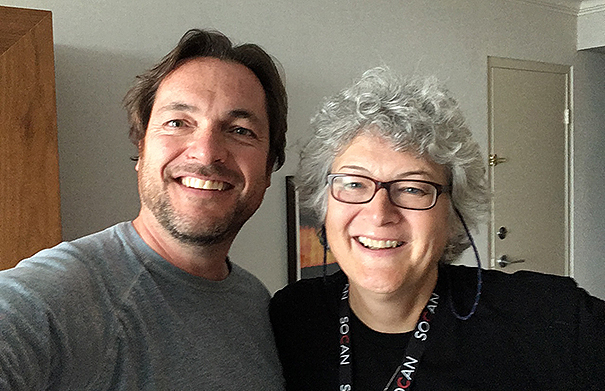 Andrew Collins sat down with Jan Hall at the Folk Music Ontario conference to chat about his current projects and future plans, and played an instrumental and a couple of songs live for us. For more information about Andrew’s music, visit andrewcollinstrio.com. 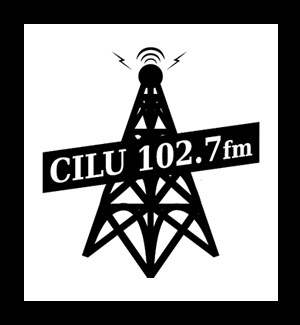 You can find an interview recorded at the time of the release of And It Was Good HERE. 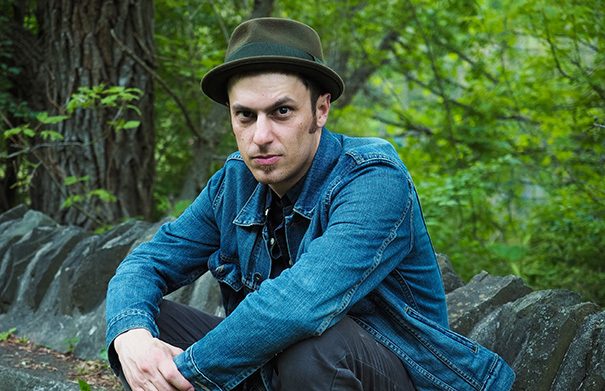 Music: Andrew Collins “Banish Misfortune” (live), “Coming Into Hard Times Blues” (live) and “Nothing About Us” (live). Ryan Cook started out playing punk and heavy metal music before discovering a love for classic country and western music from the 40s and 50s and the likes of (early) George Jones, Patsy Cline, Ernest Tubbs and Jimmy Rodgers. 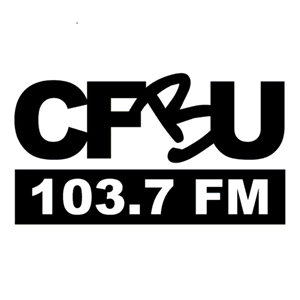 His latest release, album number four, “Having A Great Time” playfully explores the ups and downs of life on the road as a snowbirding itinerant troubadour singer-songwriter, travelling from place to place in a thirty five year old camper van. Whether performing live solo or as part of a duo or trio, expect to be regaled by some of Ryan’s fine original country folk – with a modern sensibility, alongside a few songs from the golden age of country music. 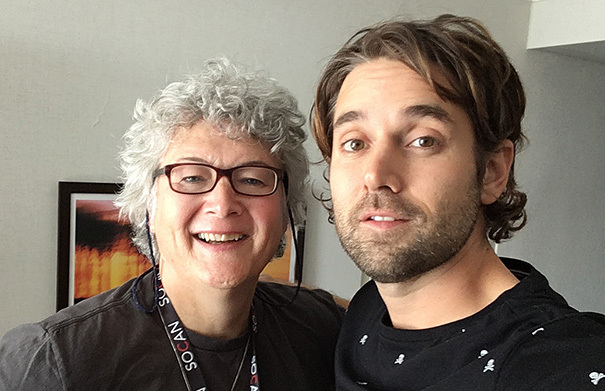 Ryan Cook joined Jan Hall from Folk Roots Radio at the Folk Music Ontario conference to chat about his music, and played a song from the new album live. 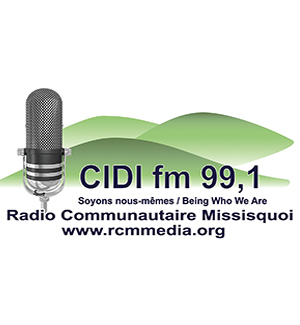 For more information about Ryan Cook, visit ryancook.ca. Music: Ryan Cook “Cult Of My Own” from “Having A Great Time” (2017, Self), “Uncomplicated” (Live) and “Memory Foam” from “Having A Great Time” (2017, Self).